Prospering along the southern banks of river Ganges and set in the conglomerated backdrop of rich ancient heritage and a glorious historical past, Patna boasts of a dominating presence in history and enjoys the distinction of being one of the oldest cities in the world. Originally called as Pataliputra, Patna is currently a hot-bed for the culminating political fortunes. In addition to being one of the major and most popular tourist destinations in India- owing to its plethora of artefacts, monuments and grand architectural heritage which provide a peek in the bygone era, this capital city of Bihar also holds significant religious and spiritual importance. It is a gateway to pilgrimage sites of Hindus, Sikhs, Jains and Buddhists. The capital city of Bihar, Patna is one of the oldest continuously inhabited places in the world. Originally known as Pataliputra, it played a major role in Indian culture and even today has great historical and religious significance. Having belonged to the blue family of cities with a royal heritage, it has an amazing past and various artefacts to provide a peek into the bygone era and also displays a brisk pace of modern development. Located on the banks of river Ganges, Patna is also an important pilgrimage centre and it is close to nearby religious centres of Hindus, Sikhs, Jains and the Buddhists like Bodh Gaya, Vaishali, Nalanda and Pawapuri. Patna is also the birthplace of the tenth Sikh Guru, Guru Gobind Singh and hence an important pilgrimage for Sikhs. Situated in the city of Patna, Golghar is a simple yet charming architecture which is an amalgam of history and natural beauty. It was built in 1786 by Captain John Garstin with the purpose of serving as a storehouse. Incidentally, Golghar was never filled to its maximum capacity as it is believed that due to an engineering fault the doors open inwards only, and if the granary were to be filled all the way, the doors will not open. In addition to being a magnanimous granary, the top of Golghar presents a wonderful panoramic view of the city and the Ganges. Owing to its peaceful location and sublime natural setting, Golghar is one of the many spots in the city which citizens visit to get a respite from the din of the city. Rising from the midst of a lush green garden, the stupa- shaped structure of Golghar is an inviting sight to behold. It is encircled by a flight of 145 stairs that take you all the way up to the top, from where you can see a bird's eye view of the entire city. The gentle wind blowing over the zenith as you behold the sight of the ancient city that lies ahead of you is a serene experience. In addition to this, you can also arrange for a picnic in the garden that this attraction lies in. In an effort to increase the visitor influx to Golghar, a light and sound show have been introduced here as well. Visit this destination for a quaint day out with friends and family. The River Ganga flows through Patna and one cannot leave here without experiencing a boat ride near Gandhi Ghat. A boat ride in the Ganges in the months of October-March could be mesmerizing with its serene and captivating surroundings. The Bihar State Tourism Development Corporation has also made available motorboats on weekends and recreation arrangements. It serves as an ideal place for picnic with friends and family. However, the river-side activities are not that developed as compared to Varanasi and Haridwar. The Gandhi Maidan Park, located in the capital city of Patna on the banks of the river Ganges, is a famous historical venue spanning an area of about 60 acres. This park was frequented by several influential leaders of the Indian Independence Movement for launching political campaigns, freedom rallies, parades and holding religious ceremonies. Formerly known as Patna Lawns, the grounds house the tallest statue of Mahatma Gandhi in the world, a bronze figurine that rises to over 70 feet. Its popularity has affirmed its status as a prominent landmark and place of the attraction of the city. Located near Ashok Rajpath in Moradpur, these grounds are approximately 2-3 kilometres from the city centre. During its heyday, distinguished state patriarchs namely Mahatma Gandhi, Maulana Azad, Jawaharlal Nehru, Sardar Patel, Rajendra Prasad, Indira Gandhi and many more made their powerful voices heard in these lawns. It was said that a leader had not transpired until he/she had addressed a rally at the Patna Lawns, such was its presence. The flag raising ceremonies of Independence Day and Republic Day are held here by the Chief Minister and the Governor of Bihar. Even today, it acts as a hub for political rallies and other major events. The 72-feet tall bronze statue of Mahatma Gandhi lies in the south-western corner of the ground. It also has one of the eleven Gandhi Sangrahalayas (Gandhi Museums) in the north-western corner. Several exhibitions and fairs are also held here, the most famous of them being the fortnight-long Book Fair. The ground has Patna's buzzing roads running around its circumference. A spot of choice for morning and evening joggers, it is best visited during these times. City dwellers head here for some necessary relaxation. It is open for playing and cricket played here is a delight to watch. Situated in the city of Patna, Bihar, the Patna Museum, locally known as the Jadu Ghar is a very popular museum, storing more than 50,000 rare art objects, including Indian artefacts from the ancient, middle ages and the British colonial era. It was built in 1917 and was started on 3 April of the same year during the British rule to house the historical artefacts founded in Patna. This place is a must-visit for those who wish to experience the historical culture. The rich collection of the museum will take you back to the past to reminisce Indian history and glory. Constructed in the style of Mughal and Rajput architecture, the museum has different galleries which contain masterpieces from the past. The Holy Relic Casket, with the sacred ashes of Lord Buddha and the beautiful statue, Yakshani, are the most highlighted attractions of the place. Archaeological objects such as coins, art objects, paintings, instruments, textiles, thankas, bronze sculptures and terracotta images by various Hindu and Buddhist artists are on display in the museum. Another one of the museum's prized possession is a rare collection of British-period paintings depicting day-to-day life, along with a fine collection related to the first President of India, Dr Rajendra Prasad, and the First World War cannon. This Gurudwara was built by Maharaja Ranjit Singh in remembrance of Guru Gobind Singh Ji, Patna being his birthplace. He was the 10th and the last Guru of Sikhs. Many scriptures of the Sikhs can be viewed here. It is also among one of the 5 takhtas or holy seats of authority of the Sikhs. This place originally had the havelis of Salis Rai Jouri, who turned it into a Dharamshala as he was an ardent devotee of Guru Nanak Devji. The second longest river bridge in India only next to the Bhupen Hazarika Setu (a.k.a. Dhola-Sadiya Bridge) in Assam, the Mahatma Gandhi Setu in Bihar extends over the Ganges for 5.7 kilometres. Named after the father of the nation, the bridge connects the capital city of Patna in the south to Hajipur in the north. Hosting four lanes of roadways and pedestrian pathways on each side, the bridge is an indispensable part of the daily vehicular transport. Earlier, there used to be toll gates, but the Government has revoked that. It provides some spectacular views of the sacred Ganga flowing underneath. Before its erection, the Rajendra Setu was the only link between northern and southern Bihar, 90 kilometres east of Patna. The lengthy viaduct was commissioned in 1969 with Gammon India Limited undertaking construction in 1972 until it was inaugurated by former prime minister Smt. Indira Gandhi in 1982. The primary purpose served by Mahatma Gandhi Setu is the connecting of the northern part of the state with the rest of it and a portion of NH19. Serving as a lifeline for thousands of people in and around the region, the bridge is a remarkable feat of engineering with forty-five piers each of height 121 meters supporting it, leaving enough space underneath to fit a ship. Its legacy stands strong as a commemorative postage stamp of denomination 0500 paise was released in 2007 on the Landmark Bridges of India. Currently, the National Highway 19 operates through it. The government has scheduled the building of two Pontoon bridges (floating bridges) parallel to it to curb traffic, which has drastically increased over the years. Before the erection of the bridge, people from this region travelled to Patna and Hajipur respectively by ferries or boats. Although congestion and traffic problems are present on the Mahatma Gandhi Setu, its significance cannot be contradicted. Located in the city of Patna, Indira Gandhi Planetarium or Patna planetarium is one of the oldest and largest planetariums of Asia. It is also popularly known as Taramandal, meaning a circle of stars and is one of the most well-maintained planetariums. Famed as one of the largest planetariums of the country, it attracts thousands of both domestic and foreign visitors. A wide range of film shows on subjects related to astronomy is showcased here. Apart from that, exhibitions are also held on various related topics for the visitors. The Patna Planetarium has a modern state of the art projections system,well-maintained complex and a chic auditorium. The seating capacity in the main hall is of 276 people. There is a huge dome shaped screen here to showcase the movies in which visitors need to look up on the roof to enjoy the amazing feeling of watching a sky full of fascinating stars, moons and other celestial bodies. A crystal clear surround sound quality makes the experience even more wonderful. Apart from this, a separate place is available for holding large events, conferences, seminars or workshops. These wonderful facilities make this tourist attraction in the crowded city - Patna, both entertaining and educational. Also known as Maa Patneshwari, this is one of the most sacred and the oldest temple in Patna. It is believed that Patna derived its name from Patan Devi. This temple is highly revered by the Hindus as it is one of the 51 shakti peethas according to the Hindu mythology. It is believed that the right thigh of Devi Sati fell here when the whole body was cut in to 51 pieces by Vishnu's Sudarshan Chakra. Mahavir Mandir is the second largest religious shrine in North India. It is one of the leading temples dedicated to the worship of Lord Hanuman. Thousands of devotees from different parts of the country flock in here daily to offer prayer to and seek the blessings of Bajrang Bali. It is believed that Sankat Mochan Hanuman listens to the prayers of his faithful devotees hence if worshipped with a pure heart no wishes of yours would be left unfulfilled. Therefore, it is also known as "Manokamna Temple." Mahavir Mandir is located right outside the Patna Railway Station, standing tall as if to bless tourists. It is not a building in isolation but contains other facilities like shops, office and palmistry centre for its visitors in its complex. It is managed by the Mahavir Temple Trust of Patna. After the Vaishno Devi, this temple has the highest earnings of over 1 lakh per day rendering its trust budgets as the second highest in the northern part of the country. The temple attracts huge crowds on festivals like Ramnavami. Make sure you taste the famous delicacy "Naivedyam", the temple's prasadam prepared by Tirupati experts. Considered to be the tallest and biggest Buddhist Stupa in the world, Kesaria Stupa was built by the great ruler Ashoka. This is the place where Buddha in his last days donated his begging bowl. The structure serves as a brilliant example of Buddhist architecture and is adorned with a large number of Buddhist statues. However, some of the parts are in ruined state as they were damaged by the invading Muslim rulers. This place was very recently discovered in the excavation done by ASI. Patna is primarily known for its Madhubani paintings, wall hangings, bead jewelry and leather items. The city is also full of pilgrimage sites and temples that offer a wide variety of statues and pictures of Gods and Goddesses, Prashad, religious books, etc. It is famous among the female tourists for its applique work on silk and cotton fabrics. The shopping scene in Patna is contained in its markets, art and handicraft emporiums, local bazaars and modern malls. Patna is home to some extremely skilled craftsmen and painters. Art houses have preserved the Madhubani form of art for over centuries. The markets in Patna host wide variety of artifacts which have their origin in native art forms of the state. These places are bustling with crowd especially in the evenings. One the other main attraction is miniatures in the form of paper and leaves. Shopping in Patna is a must if you love bargaining as large purchases can be made by striking value deals. Chhoti Dargah is a 3-storied mausoleum located in Maner, just 30 km outside of Patna on NH 30. Also known as Maner Sharif, the place is an architectural marvel. The Muslim saint Makhdum Shah was buried here in 1616 and is now a popular dargah for the Muslims in Patna and surrounding areas. There is also a large tank just in front of the mausoleum. A mosque was also built later in this compound by Ibrahim Khan in 1619. A pleasant getaway that presents a breathing space to the soul, the Valmiki National Park is one of the most beautiful tiger reserves of India. The leopards and tigers along with the fishing cats, chitals, sambar, black bucks, langur, sloth bears, gaurs make a trip to this jungle an adventurous expedition. The deep wood of Sal, Asan, Karama, Semal, Cane etc. increase the biodiversity of this place. Situated at the foothills of Himalayas, Valmiki Tiger Reserve is one of India_ã_s most beautiful havens of flora and fauna. This national park inhabits Tiger, Rhinoceros, Black bear, Leopard, Wild dog, Leopard cat, Wild cat,Ô_Python and King Cobra.Ô_The Royal Bengal tiger is the main tourist attraction of the place and tourists from all over the world visit this national park to just catch a glimpse of this subtle and endangered animal. Valmiki National Park and Valmiki Wildlife Sanctuary are the major attractions of this reserve and presently shelter around 50 Tigers and 54 Leopards. This reserve is also a paradise for bird lovers. The park has moist Sal bearing forests, dry Sal bearing forests, moist mixed deciduous forests without Sal, cane and tropical seasonal swamp forests which contain reed beds and wet grasslands. Asia's largest cattle fair, the Sonepur Mela is a major event for the ancient town of Bihar, Vaishali. It is held on Kartik Poornima or the full moon day in the month of November. The fair usually lasts for a period ranging from a fortnight to a month. Sonepur, being a site of the confluence of the holy Ganga and the Gandak amplifies the auspiciousness of the location, attracting devotees to dip in the Sacred river during the full moon. Hundreds of varieties of animals and birds are traded here. The most impressive sight at the fair is the Haathi Bazaar, where elephants are beautifully decorated and lined up for sale. Temple is the main motive of the devotees on the full moon day. For a tourist who desires to see all elements of Indian rural diversity and culture, this fair is a must visit. Apart from the animal sale, there are plenty of other attractions and stalls showcasing handicrafts, jewellery, paintings and pottery from different regions of the country. Folk shows, magic shows, and live music events are also organized. One can also taste famous local delicacies such as the papdi, khajoor, halwa, etc. For a month, Sonepur transforms into a delightful congregation of fun and frolic. Since elephant trading is becoming increasingly illegal, most traders get their elephants for pomp and prestige. Horses of fine quality also gallop around for the same reason. The ‘Chiriya Bazaar’ or Bird Market is a space where birds and other small animals can be bought legally. Cows, being symbolic of various things, in India are also sold as pedigree items as well as other cattle and milch animals. Sitamarhi, a town and the district headquarters of the Sitamarhi District in Bihar is the birthplace of the wife of Lord Ram, Sita. Bordered by Nepal in the North, Muzaffarpur in the south, Champaran and Sheohar in the west and Darbhanga and Madhubani in the east, Sitamarhi is a town of great historical importance and has a large number of modern tourist attractions. Rivers like Baghmati, Aghwara, Lakhandei and Manusmara flow through the Sitamarhi District and the northern part of Sitamarhi District is located in the foothills of the Himalaya. The place has a moderate climate and is rich in alluvial soil. Sitamarhi is filled with spots of religious, historic and modern tourist attractions. According to mythology, Mata Sita was born in an earthen pot under the land of the Sitamarhi district. Janaki Temple at Sitamarhi, Janaki Temple at Punaura, Deokuli, Haleshwar Sthan, Baghi Math, Goraul Sharif, Shukeshwar Sthan, Bodhayan-Sar and Sabhagachhi Sasaula are the places you must travel to on your visit to Sitamarhi. Sitamarhi has a rich culture of folk arts, dance and music. It is well known for its lac bangles and the world-renowned Madhubani paintings are painted in many places of this district. Located near Agamkuan, Jalan Museum, Popularly known as Quila House is a private museum and you will need to call them on (+91-612-246-1121) to take the permission to visit this museum. The museum has a great collection from the Mughal period and also houses some unique artifacts like the wooden bed of Napoleon III. This museum was built by Diwan Bahadur R.K. Jain in 1919 and has English and Dutch influence on architecture. There are more than 10,000 artefacts in this museum, mostly belonging to modern period. An ancient city of Patliputra, it has undergone multiple excavation operations to unearth ruins like the Assembly Hall, Anand Bihar, Arogya Vihar and the Durakhi Devi Temple. This place is just 5 km from the Patna railway station and has ruins dating as back as 600 BCE. It has various ruins marking the capital of Ajatshatru, Chandragupta and Ashoka between the 600 BCE and 600 CE periods. Lauriya Nandangarh is a small town situated 28 km northwest of Bettiah famous for its beautifully architected Ashokan Pillar. Lauriya gets its name from a pillar (Laur) of Mauryan emperor Ashoka, which is sited here. Nandangarh is the name of a bank, located about 2 km to the south-west of the Ashoka Pillar. Lauriya Nandangarh is also a site for about 20 archaeological banks organized in three rows. Forty pillars were built here by Emperor Ashoka originally but today only one pillar exists in complete form, at its initial position in Lauriya Nandangarh. Lauriya Nandangarh is a historic town in the state of Bihar and is located at a distance of 22 km from the district of Bettiah. Lauriya Nandangarh boasts of housing the Ashokan pillar, which consists of the six Ashokan proclamations. The height of the pillar is more than twelve meters and even after so many years, the Mauryan polish used on the pillar maintains its radiance and sheen. The pillar is inscribed with six Ashokan edicts, issued by the Emperor in the year 244 BC and the top of the pillar is adorned with a lion, in a crouching position. One of the main tourist attractions of Lauriya Nandangarh is a large stupa, which is believed to be the one of the biggest stupas in India. The massive stupa is 24 m in height and has a circumference of almost 457 m.
Located on the Fraser road, Ajanta is a good stopover if you are interested in buying genuine Madhubani paintings. It is closed on Sundays, so make sure you plan your visit accordingly. The shop has a beautiful collection of Madhubani paintings done on both silk and handmade paper. The paintings are usually mounted on Bronze. Unmounted paintings will cost you about INR 350 for a handmade paper painting, and INR 950 for a painting on a silk base. Another Stupa of the Ashokan period, this place was where legends say that Buddha was given a bowl of honey by the monkeys. It is also said that monkeys dug out a pond here for Gautama Buddha. The complex contains ruins of a large hemispherical stupa with a lion sitting at the top of the Ashoka Pillar. This pillar, unlike other Ashoka pillars, doesn_‹_t contain edicts of Ashoka carved on it. Established in 1891, this place has a very wide collection of Mughal and Islamic scriptures including a 25 mm wide version of Quran. It also has the Nadir Shah's sword which he raised at the Sunehri Mosque in Delhi, to order the massacre of residents of the city. This library contains close to 250,000 books and is located on the Ashok Raj Path. Gandhi Sangrahalaya in Patna is among the eleven such public museums across India. The institution displays a visual biography of Gandhi's life with the help of pictures of important milestones since childhood to death, documents, quotes, models and other memorabilia. There are books and audio-visual materials about his life, principles and struggle for feedom as well. Shaheed Smarak or Martyr's Memorial in Patna is a bronze statue commemorating seven brave young men, who sacrificed their lives in a protest, trying to unfurl the Indian national flag during the Quit India Movement of 1942 outside a British administrative building which is now the Secretariat of Patna. The monument is a remarkable reminder of the cost of feedom, even if their names are not widely known. Harmandir Sahib, also known as Takht Sri Patna Sahib, is a Gurdwara in the Patna Sahib neighbourhood, built by Maharaja Ranjit Singh in memory of the tenth Guru of the Sikhs. Guru Gobind Sing's birthplace was Patna and the towering, white Gurdwara pays him tribute by catering to thousands of his followers every day for prayers and community meal. ISKCON Temple in Patna is a new addition to the group, and is yet to be fully open to the devotees and visitors. However, upon completion, the complex will be the largest in Bihar-Jharkhand area. The trademark white and red shades grace the exterior, while inside there are idols of Sri Gaur Nitai, Sri Radha Banke Bihari and Sri Ram Durbar. 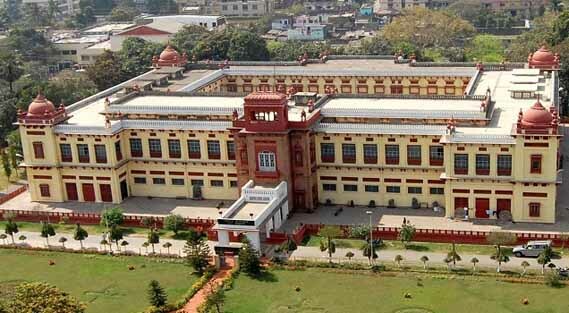 Bihar Museum is a state-of-the-art museum that houses the thousands of years old historical and cultural evolution of Bihar, as well as artefacts and religious findings. From the ages of Indus valley, the Guptas and Mauryas, to folk culture to displays of wildlife creatures _ the museum has something to offer for every field. Agam Kuan is an archaeological site related to numerous myths and legends over the years. The most popular association is with Mauryan king Ashoka. The well is mentioned as the ¥hell on earth' in many accounts, which was probably once a part of Ashoka's infamous Hell chambers used for torture before embracing Buddhism. People now treat the well with veneration and throw in flowers and coins to get their prayers and wishes heard. Begu Hajjam Mosque is among the oldest mosques in Patna city. Originally dating back to the 16th century, the mosque is not named after its creator Muazzam Nazir Khan, but its renovator Begu Hajjam. The architecture reflects Gaur style, as it was built under the rule of Alauddin Shah, the ruler of Gaur. There is spirituality within the walls of the mosque and beautiful carvings on them. Patna Eco Park is a large, green area built to provide the visitors a natural place to unwind. There are more than 3000 varieties of flora, a children's park, boating rides, pathways for jogging and cycling, food court, themed natural decorations and occasional display of sculptures. Amidst the busy city, this is a place where the air feels fresh and the green soothes the eyes for a while.